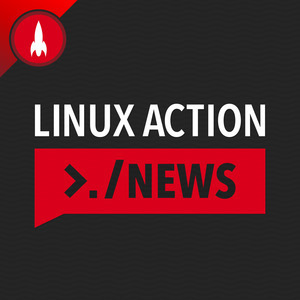 We found 7 episodes of Linux Action News with the tag “wayland”. We try out the latest GNOME 3.32 release, and why it might be the best release ever. New leader candidates for Debian emerge, we experience foundation inception, and NGINX is getting acquired. Red Hat shakes up the container world with its CoreOS purchase. Skype ships as a snap and Chris has a report from Canonical's recent development sprint. Ubuntu is switching back to Xorg, Linus calls out Intel, and are the BSDs dying? Plus how you can start testing Plasma Mobile, Pursim aims for convergence, and Mycroft is back! Atari has a Linux powered console, some brief Ubuntu updates, and the biggest Kernel news in years. SUSE hits the Windows Store, System76 announces Pop!_OS, Mir is back with a plan, and Debian warns of Hyper-Threading issues.